Whether you are looking to plan an intimate event of 8, to a birthday dinner of 30, to a wedding reception of 100, Tavolino Della Notte will give you an unforgettable experience. We are dedicated to planning the most unique & entertaining event to exceed all of you & your guests' expectations. 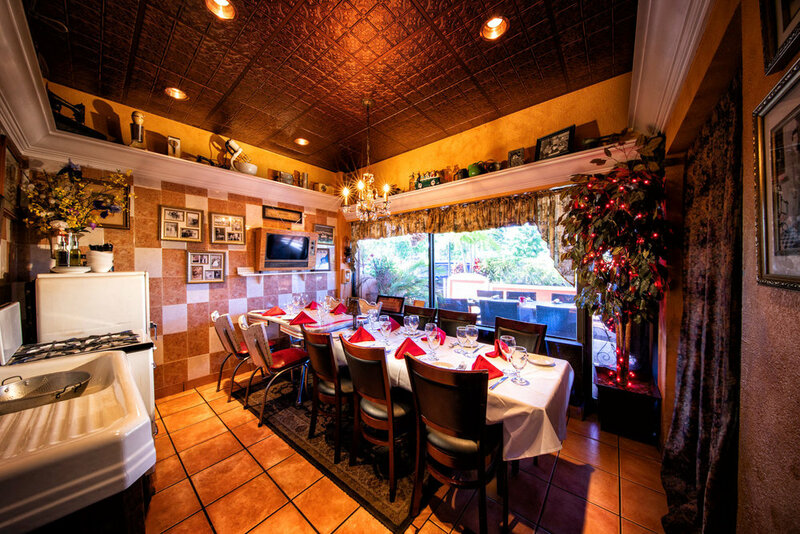 Tavolino offers a number of gorgeous event & private dining spaces. Our 1950's inspired kitchen room will make you feel right at home in Grandma's house. This private room can seat up to 10 guests, and also has a TV screen available for small presentations. Minimum of 6 guests to reserve. Perfect for intimate group dinners, business meetings and pharmaceutical dinners. This room is fully private with 4 walls and a door with a 55 inch flat screen TV which you can connect to your laptop for presentations. Pre-set and all inclusive menus available. Our fun stage area also doubles as the perfect location to host your party of up to 50 guests. This area is perfect for cocktail style receptions, or an upbeat sit down dinner. This area also works well for rehearsal dinners, bridal and baby showers. The VIP alcove in our lounge side can hold up to 24 guests for a sit down or cocktail style party. This is perfect for birthday parties, holiday parties, rehearsal dinners, networking events & more! This room has a sliding door which can open up to the entertainment area, or be closed for more privacy. Our main dining room area can hold up to 80 guests, without having the live entertainment aspect. This is perfect for rehearsal dinners, business dinners, birthday dinners & other intimate events. Our lounge side can hold up to 100 guests for a sit down or cocktail style party. This is perfect for wedding receptions, rehearsal dinners, networking events, birthday parties & Bar/Bat Mitzvahs. 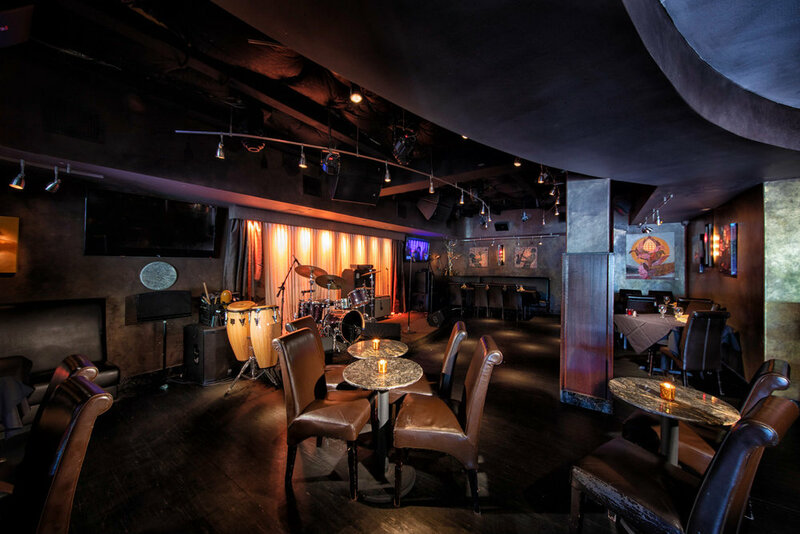 Venue buyouts are perfect for larger events that would like a dance floor area! We host our weddings and Bar/Bat Mitzvahs during Saturday & Sunday afternoons from 12:00pm-4:00pm in the whole venue. We normally have a cocktail hour in the lounge, a sit-down dinner in the restaurant, and then dessert & dancing to follow. Party Inquiries, please complete the form below & we will contact you.